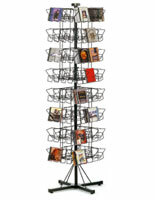 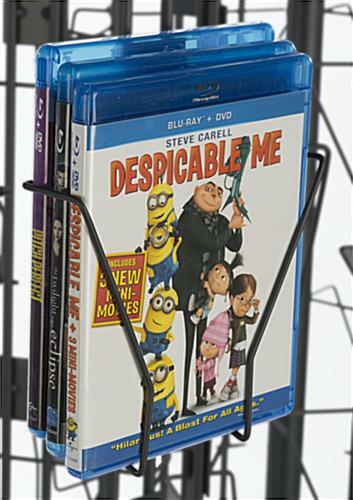 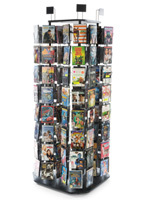 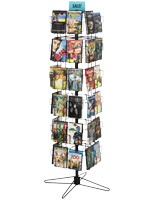 These 4-column wire literature spinners feature 192 steel pockets for holding CDs, Blu-Ray discs and greeting cards. 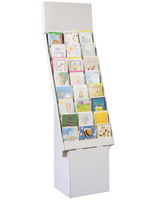 The floor standing display also has four sign holders on the top for 4" x 6" images. 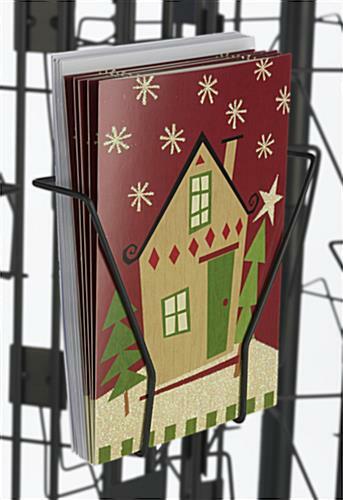 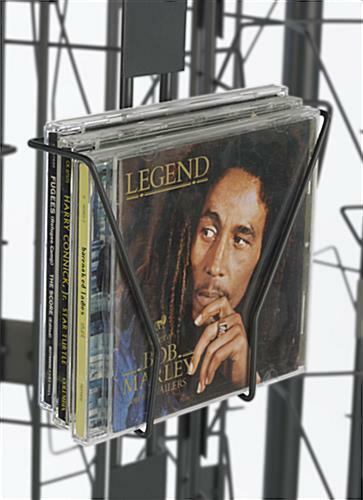 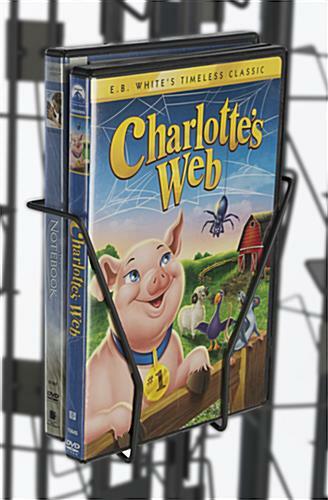 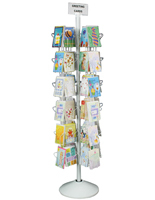 This type of wire literature spinner is great for convenience stores and specialty shops because they can increase impulse purchases by showing media and postcards. 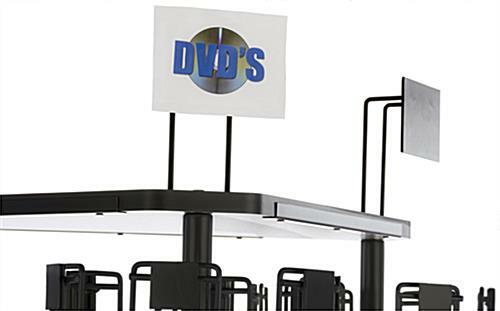 Another feature of the steel stands is their stable melamine coated base that takes up only a 24" x 24" footprint. 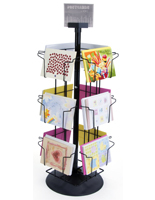 The 192-pocket spinners with sign frames have metal ball bearings for smooth rotation and browsing. 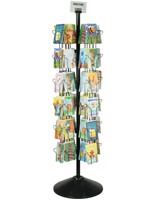 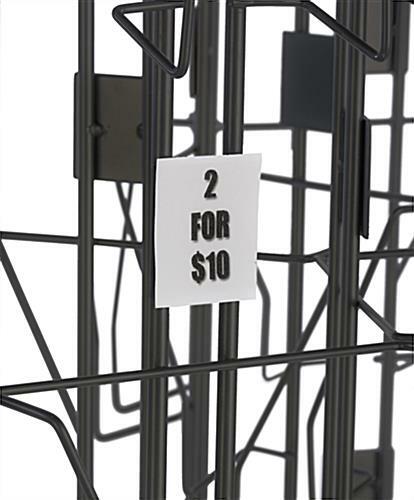 In addition, the floor standing fixture's racks spin individually.